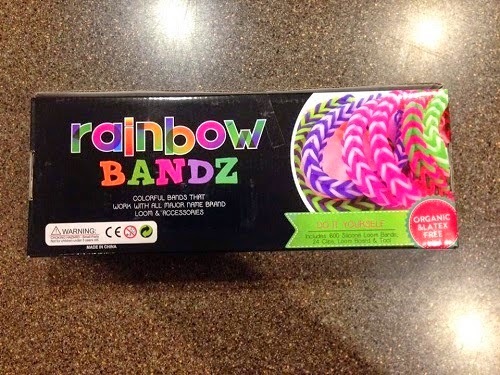 I was so excited and happy to receive the Rainbow Bandz kit to review. My 7 year old son got a kit back in December as a Christmas gift and he loved it! As soon as it came in the mail, my son and even my 11 year old nephew had the box opened within a few minutes of getting it in the house. These Rainbow Bandz are great! First, this kit is very affordable, just under $10 and the quality of the equipment and bands are really good. The bands are very durable (not cheap at all, they're latex free and the colors of the bands are so vibrant & bright. The kids had the best time making these bracelets and I'll admit, so did I! My nephew even went on YouTube for more ideas! I would highly recommend this product to anyone, children (3+ of course) and adults. It's such a great way to sit down with your children and have some great quality time making and creating something really fun! And, it's always a plus to do something in which it taps into a child's creativity. 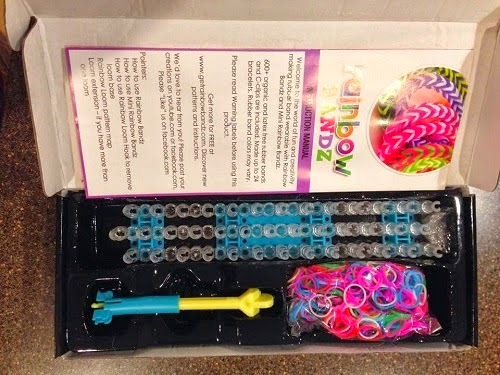 If you would like to try it out for yourself, you can purchase the Rainbow Bandz Loom Kit right now from Amazon!